Make it five-straight wins for your Charlotte Hornets! Kemba Walker (31) and Dwight Howard (24) combined for 55 points in the Hornets 118-103 victory over Chicago on Tuesday at Spectrum Center. It marks the Hornets longest winning streak since 2016, and Charlotte has won four-straight games by 15+ points. It is rare that a turning point in a game can come down to a last-second decision, but after Dwight Howard sat out the second quarter in the Hornets locker room with what was reported as a back strain, Howard made such a moment happen. 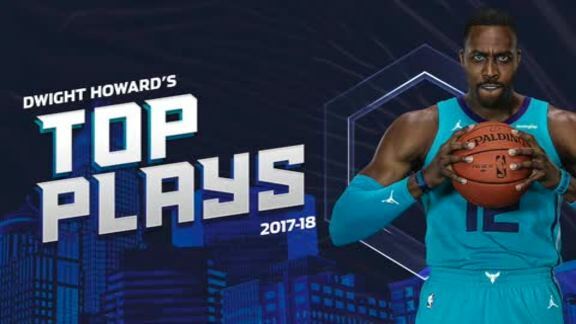 After not initially coming out for the second half, Howard decided in nearly the last moment that he’d give it a go and made it out to the court for the second half of play. His impact was felt immediately as he scored 16 points on 7-of-8 shooting and blocked three shots in the the third quarter alone. Led by Howard on both ends of the court, Charlotte would go on to outscore Chicago, 36-27, in the frame as it took control of a tie ballgame and continued to keep the pressure on the Bulls in the fourth quarter on its way to a fifth-straight victory. Dwight Howard scored 24 points on 10-of-12 shooting from the field and 4-of-5 shooting from the charity stripe while grabbing six rebounds and blocking five shots. Howard’s six rebounds bring his career total to 12,855, moving him past Bob Pettit (12,849) and into 17th place on the NBA’s all-time rebound leader-board. Howard’s performance in the third quarter (16 points, three blocks) was the key to the Hornets grabbing another win. Zach LaVine continues to impress for Chicago since returning from a knee injury and finished with a team-high 21 points on 7-of-19 shooting. He added four rebounds and four assists in a team-high 35 minutes. With tonight’s win the Hornets extend their winning-streak to five-straight games (2/14-2/27), the longest winning-streak in Charlotte since winning seven in a row from 3/1-3/12/16… Kemba Walker scored 31 points, with two rebounds and five assists. His 31 points came on 11-of-19 shooting, including 6-of-10 from deep. This is Walker’s 11th game with 30 or more points and his 45th game with multiple made three-point field goals this season. With his two rebounds Walker has tied JR Reid (1903) for 10th-most career rebounds in franchise history… With 15 points, Jeremy Lamb recorded his 34th appearance this season scoring 10+ points off the bench. Through his 2+ seasons in Charlotte, Lamb has recorded 90 games with at least 10 points as a reserve, the second most in franchise history… Nic Batum logged his third double-double of the season, finishing with 10 points and a season-high 12 assists (previous: 10, done three times). His 11 assists are the most by any Hornets player this season (11, Walker, at BOS 11/10). He also added five rebounds… Marvin Williams entered the contest shooting 43.4 percent from three-point range and scored 14 points on 5-of-8 shooting, including 3-of-4 from beyond the arc… Michael Kidd-Gilchrist (left hamstring strain) and Cody Zeller (left knee soreness) both left the game and did not return.